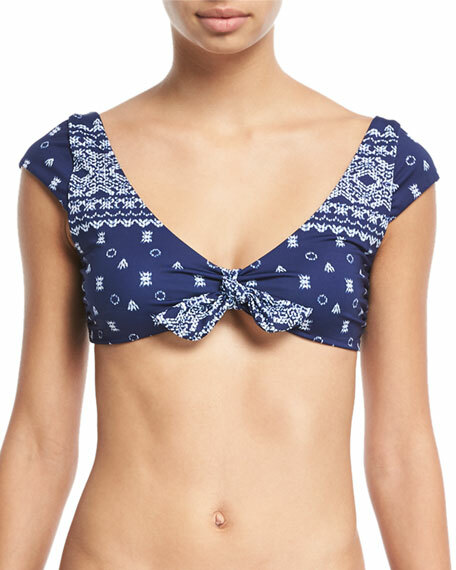 Splendid bralette-style bikini top in bandana-print microfiber. Wide V neckline with knot at center. For in-store inquiries, use sku #2397129.